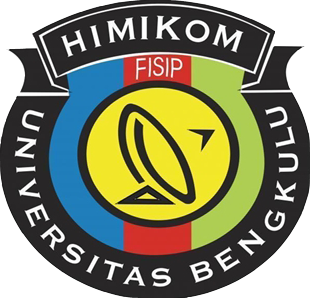 Nowadays the Government of Indonesia has pay serious attention toward the rate of university in Indonesia. The importance of availability educational high institution seems getting realized by all Indonesian. The such condition needs to be supported more in order to increase human resource department. In supporting the great Mission like above, the educational high institution or university must able to accommodate any students. And so are the students, their existence at campus should become a space for them to provide their professional skill. I am so impressing to see how much students spread all over Indonesia even abroad have done a lot of wonderful things for themselves and absolutely their country. But it is not also less to see many students of university claimed almost every Governmental policy, as the main failure which can’t be equaled with other developed countries. It means that the awareness of us in realizing the importance of nationality is still poor. “If your dream job requires you to stay in another country besides Indonesia, and if that job does not directly allow you to contribute to Indonesia’s political, social, or economic well-being (for example: you’re not working for the Ministry of Foreign Affairs), do not feel guilty to pursue your dreams because you are not being egotistical. You contribute to Indonesia by simply showing that as an Indonesian citizen, you are capable of being accomplished in the international setting. By doing so, you indirectly lift our nation’s image within the global community. Stop arguing what the term of nationalism. Doing act wisely for yourself and your country start from now. Hi guys, what do you expect when you attend to communication science? CEC is not a course ! But we have the purpose to provide student : to be expert in English by improving fluency in speaking, expand student’s talent in broadcast, speech and debate. And Internalizing the humanity values by outdoor activities. More over, we are gonna to take you travelling together in one program. Always have fun ! CEC prepares students who have good skill in English to be followed in Educational institution championship, youth exchange program and scholarship to abroad.